This amazing train bypass at the middle of city. This train cross over at the middle of the market. This is Most Amazing YouTube Videos All Over The World. 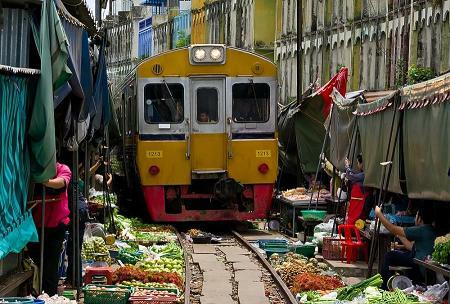 This train location at Thailand.